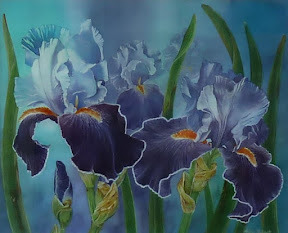 Anne Roberts has been involved with the Watercolour Society of Queensland since 2005. She was the President for 3 years as well as the administrator for 5 years and has held the position of the Vice President since 2014. She has been actively involved in all exhibitions with the Society. Anne was asked to be a judge for the RQAS Annual Exhibition 2009 and was also asked to open an exhibition with RQAS. Anne will have her first solo exhibition at the Richard Randall Art Studio at Mount Coot-tha Botanical Gardens, 5th – 7th September, 2014. Anne aims to exhibit watercolours with good design, clean colours and with a bias towards Australian icons from flora and fauna to well-known landmarks. She has attended workshops under David Taylor, Amanda Hyatt, Ross Patterson and others. 2010 | Richard Randal Art Studio, Mount Coot-tha. Invitation only. 2013 First prize, Watercolour Society of Queensland Annual Art Exhibition. 2012 Highly Commended Watercolour Society of Queensland, Annual Exhibition. 2011 Highly Commended Watercolour Society Queensland, Annual Exhibition. 2008 First Prize, Mixed media, Centennary Suburbs Exhibition. 2008 First Prize, abstract, Centennary Suburbs Exhibition. 2008 Third Prize, Drawing and Pastel, Brookfield Show.